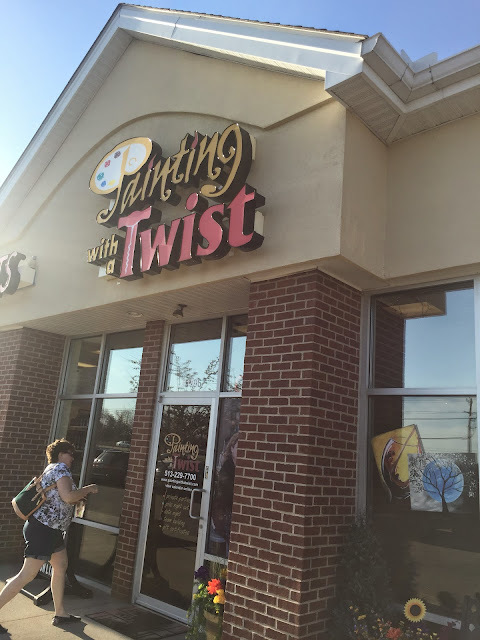 Local Road Trip: Painting with a Twist, Mason OH | The Food Hussy! I love arts & crafts so much - I even have a DIY section of my site! 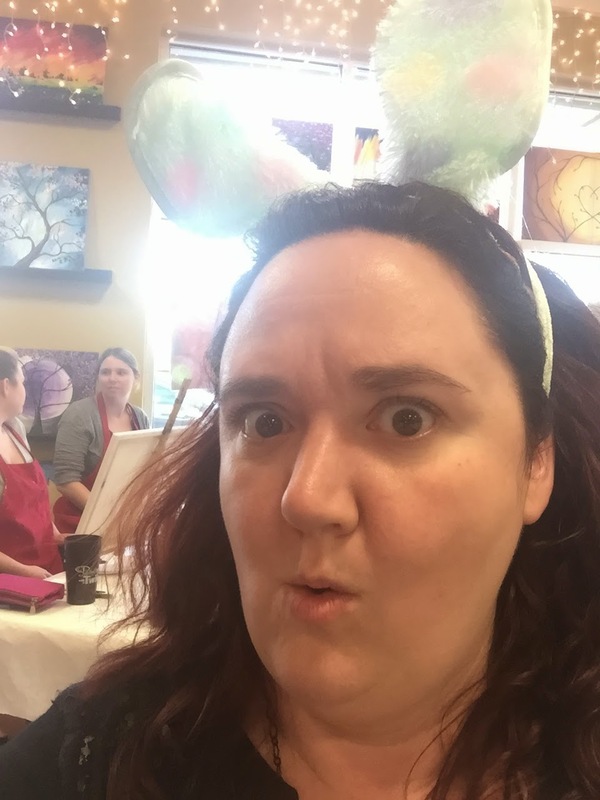 Recently the folks at Painting with a Twist invited me to come with a friend and take a class. 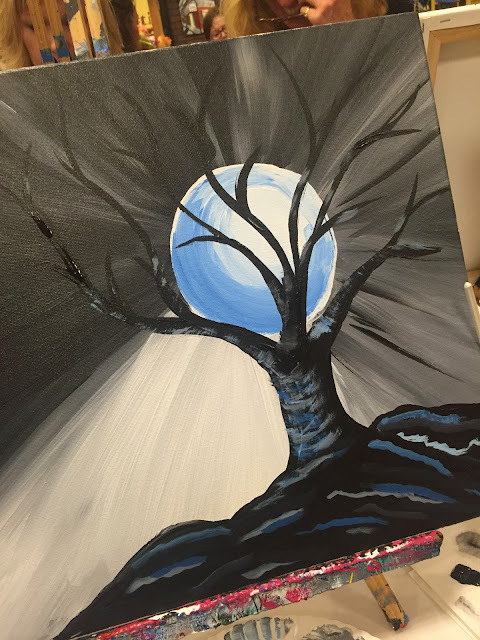 I've always wanted to do one of these "paint & drink" classes so I was really excited! 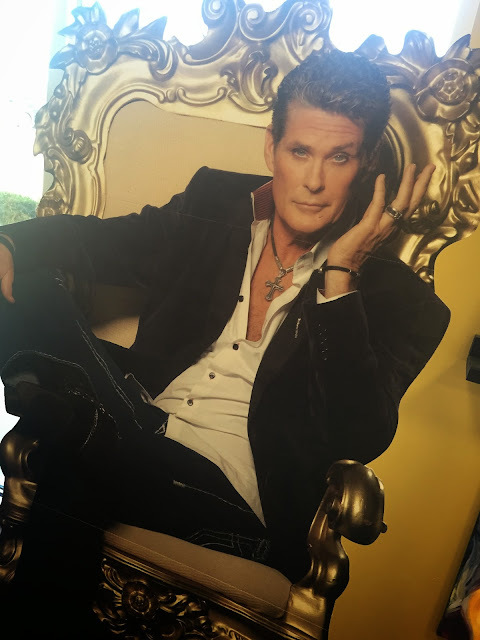 When I walked in - I found a friend to greet me...hello David. They have everyone set up around the room - you just look around and find your name. There they have your canvas, name plate, business/frequent painter card and your paint palette. The fun thing at Painting with a Twist is that you can bring your own drinks! 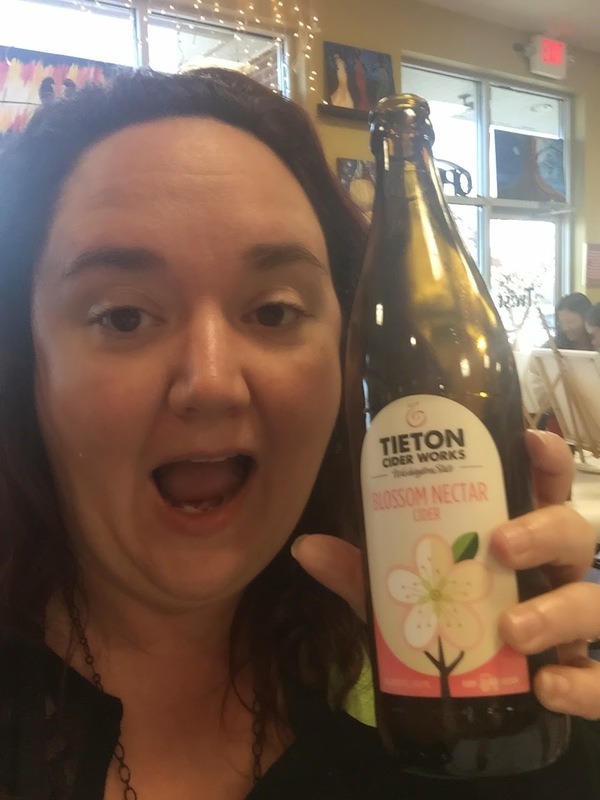 I brought my bottle of Tieton Cider - yum! So you know if you go - they have wine corks and cups there for you! Somehow I got stuck with these bunny ears on my head - not sure how that happened. The class is really fun. 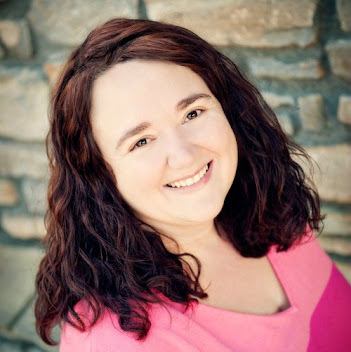 The staff is super friendly - they celebrate anything you have going on (lots of birthdays & bachelorettes) and they just all around take good care of you. There was ample staff to help everybody with their paint and any help they needed. Our teacher was Morgan and he was FANTASTIC. I really am not much of a freehand artist - but you really don't have to be! They walk you through one step at a time how to create your own cool painting. My friend Kelly that came with me had done them other places but said that this was the first time it was a total blank canvas. She also said he was the BEST teacher she'd had. Morgan was funny and educational - he helped everyone but led the class and kept us all on task. I would highly recommend any of his classes and the studio. Here's my nearly finished painting - I still can't believe I did it! Pretty fancy eh?! I can't stress how easy it was! Kelly said the same thing - we also both loved that each one was unique - our moons were different sizes or different amounts of blue - our trees all took different shapes - it was great! Here's Kelly & I with our final paintings and an idea of all the other paintings you could possibly do! 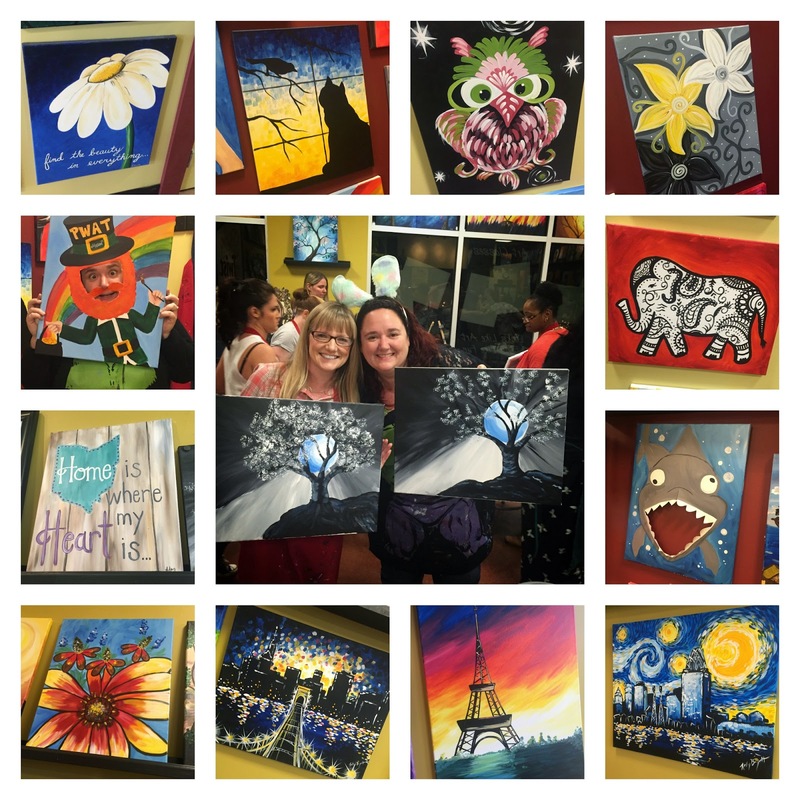 They have tons of classes and you can also do a private class with friends and pick the painting you want. This was definitely a really fun time and I can't wait to go back. I hear they're opening up on the West Side soon - so I think I'll get my chance! 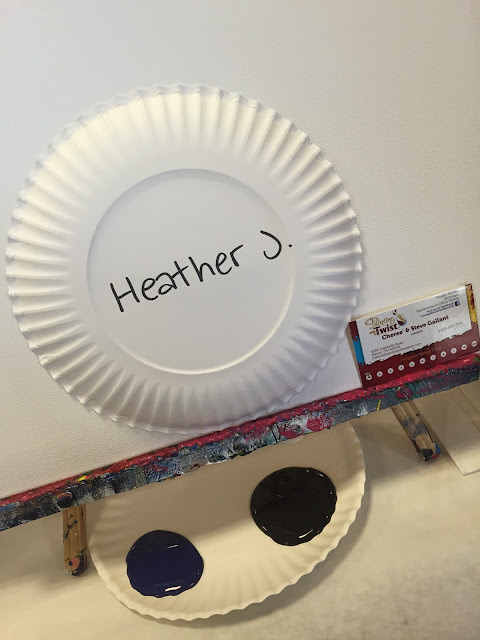 Thanks again to Painting with a Twist for the classes. If you have any questions about these classes - please ask - I'd love to answer any questions you might have. 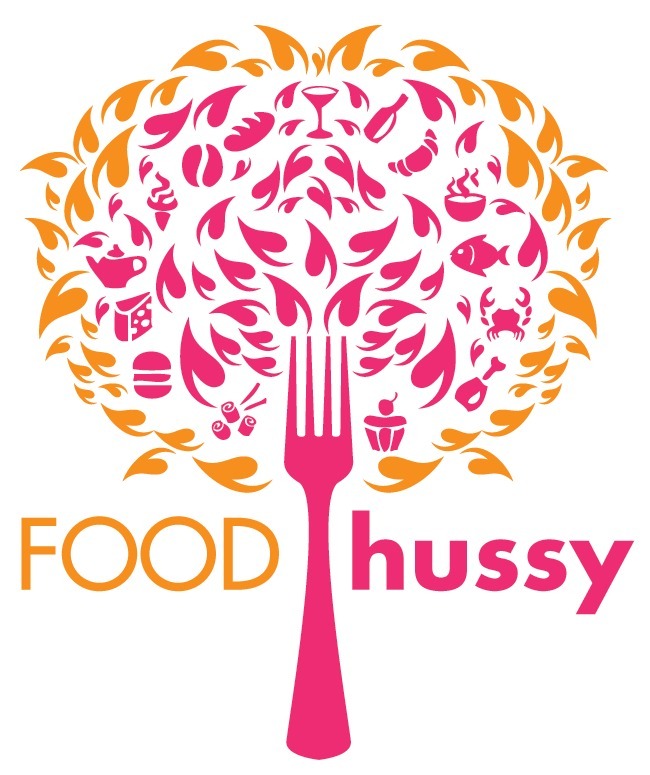 Check out their calendar and book a class and be sure to tell them you heard about it from The Food Hussy!